If you are a recent business school graduate or considering accounting as a career, you will need to know about the job outlook in accounting. What do the Bureau of Labor Statistics (BLS) say about the future of the profession and the probability of finding a suitable position once you have your degree? Is there anything you can do to improve your job outlook within the profession? What is the Employment Prospect for the Accounting Profession? According to Accounting Web. Com, more than half of firms surveyed in 2013 said they planned to hire accountants. According to the BLS, the growth rate for accounting is 13.1 percent which is about the same as for all other professions. US News and World Report rated accounting as number three in its best business jobs. That seems to support other findings that said accounting was fourth in hiring behind business majors, engineers and computer science professionals. Part of the reason that accounting jobs are not growing at a higher rate is that the profession is in a state of flux. Many of the tasks once done by accountants are now processes run through computers. Accountants are moving toward becoming business advisors and consultants who know how to input, manage and retrieve data. What Can You do to Improve Your Own Job Outlook? Even though the job outlook in accounting may be average, you can do much to improve your own chances of landing a choice position. Experts suggest taking non-accounting classes while you are in school. They say you should consider not only other business disciplines, but public speaking and debate (for its ability to hone your critical thinking skills). The pundits also advise involving yourself in extra-curricular organizations and clubs and looking for leadership opportunities within those activities. Taking an internship is a positive move as well. What can you do if you have already graduated? Most advisors recommend getting certified. 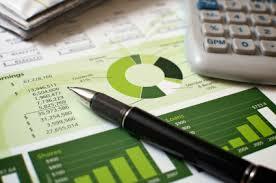 The Certified Public Accountant (CPA) is the gold standard for accountants. Another certification, the Certified Management Accountant (CMA), requires a bachelor’s degree and two years of work experience. If you have an undergraduate degree, you might consider earning your master’s degree. A graduate degree is becoming the recognized standard for most professions. You might also hone your resume. Corporations report that the first thing they look for in applicants is leadership potential and initiative. Once people get to the interview stage, however, employers want to see technical ability. The resume becomes vital to the process. Overall, the growth of accounting jobs is average. The median salary for the profession as a whole is $60,000. Job-seekers in the accounting profession can raise their chances of finding their dream jobs and bettering their own job outlooks. Whether you are still in school or have graduated, you can take steps to make yourself more marketable no matter what the job outlook in accounting.